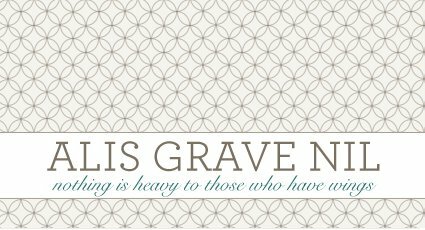 alis grave nil: …and even more! I finished two of these little gems in one day! I couldn’t wait to post the pics of the second one. I ran out of yarn for this one in the afternoon and had to send E to the Wal Marts to get some more just so I could finish… but it’s done! I’m coming to realize that I like to see my finished afghans stacked just like my finished books. Such a lovely sense of accomplishment. This one is my favorite I’ve ever made. I wish I could show you the color, but I can’t. Anyway, it’s really different palette for me. I think I might say “this one is my favorite” almost every time I make a blanket, but I MEAN IT. I love yarn. Check it: Tomorrow I’ll pick up the black and white one and start it again (and yes, as E pointed out this morning, it’s only black right now. The white part is coming tomorrow). E was gone tonight at a birthday party and I had a rockin’ time watching an awesome History Channel Documentary about death masks where they recreated Lincoln, Washington, Napoleon, and Caesar’s faces with digital scans of their death masks. Complete nerd bliss. After that I watched The American President and wished that Aaron Sorkin would a) just go ahead and write the script for my life, and b) please get himself started on something for TV again, like, pronto. It was a good little solo night. Right now I’m off to bed. Peace out, nerds! I love chill nights - I'm going to need a few of them after this weekend!